An asteroid impact wiped out the dominant life forms on the planet, both on land and in the oceans, some 65 million years ago. Like in all matters of life, there are winners and losers, and incidentally those who had most to profit from the demise of the dinosaurs were also the weakest: mammals. Small, battered and restricted to only a couple of ecological niches, not only were the mammals more adapted to a post-apocalyptic Earth devoid of sunshine and with little food to spare, but once everything cleared they simply took over. 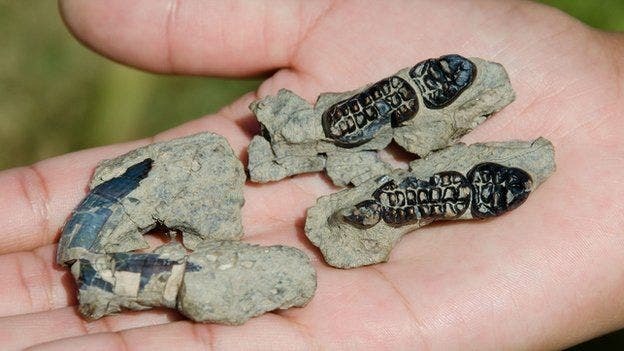 Now, paleontologists have come across a totally new genus of ancient mammals that used to share the planet with the dinosaurs, but managed to survive the fallout and continued its lineage for millions of years after. It’s hard to imagine how the world’s terrestrial dominance rapidly shifted from fierce dinosaurs like T-Rex to mellow, furry creatures like Kimbetopsalis simmonsae. Like other mammals, Kimbetopsalis used to be no bigger than a modern mouse when dinosaurs were still around. Only 500,000 years after the fall of the dinosaurs, however, the critter jumped in size growing to the size of a beaver. That’s the blink of an eye on a evolutionary timescale. 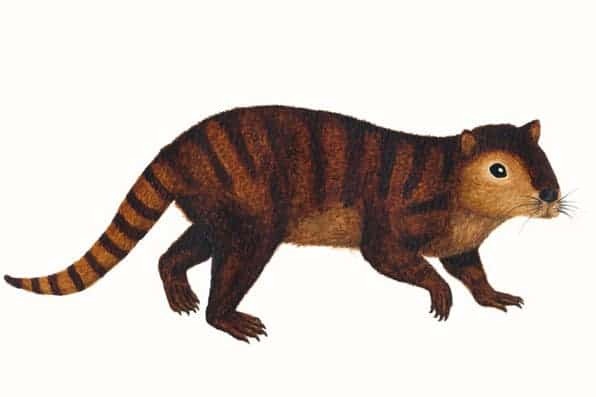 Kimbetopsalis measured a meager three feet in length, and looked sort of like a beaver sans the paddle tail, paleontologists reported in Zoological Journal of the Linnean Society. Judging from the fossilized teeth which include rows of cusps at the back and incisors at the front for gnawing, the animal was a highly specialized plant-eater. In fact, the psalis in Kimbetopsalis is latin for cutting shears, in reference to its blade-like teeth. There’s a lot scientists can learn simply by looking at teeth, as these tell what kind of food was available at the time and what the environment or climate used to look like. For instance, despite today’s New Mexico is largely covered in desert, 66 million years ago it was filled with a lush tropical forest. More than anything, though, Kimbeopsalis is an exciting find in science since it helps us understand how one of the most dramatic transitional periods in the history of life occurred. “[During the Jurassic] these animals were all pretty small,” said Dr Stephen Brusatte from the University of Edinburgh, one of the researchers involved in the study. “Then the asteroid hit, wiped out the dinosaurs and suddenly – in geological terms – this [group of animals] started to proliferate and get bigger.